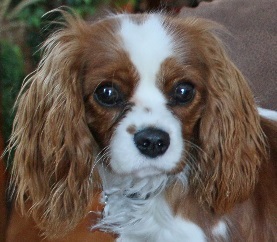 Bailey Rigby, our Cavalier King Charles spaniel, is the unofficial manager of RE/MAX Pinnacle. She must be someone very important because all of the agents and clients go out of their way to ensure she is happy. Bailey gladly returns the affection. Bailey is not just another pretty face. She is a certified member of the K9to5 National Therapy Dog Registry. Her weekly visits to the Cottonwoods Rehabilitation Center, Pediatric Partners and other Durango facilities bring joy and peace to the patients. Bailey loves giving back to our wonderful community. Also, on Mondays you can read Bailey’s weekly comments on our Facebook business page, Durango Real Estate. 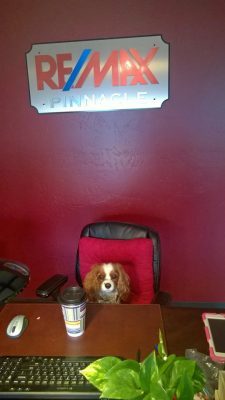 Entitled “Bailey Bits” Bailey shares valuable life lessons learned while hanging out at RE/MAX Pinnacle. If you are in Durango stop by a meet Bailey. She would love to get to know you.